The Minimum Energy Efficiency Standard (MEES) deadline of 1st April 2018 is looming – and it is estimated that as much as 20% of commercial properties in the UK will fail to meet the new standards. Landlords must ensure that commercial and residential properties reach the minimum standard or it will be unlawful to grant a lease extension, renewal or new lease. Eight Associates is running a MEES clinic, offering landlords a free MEES consultation about their options for achieving compliance. The MEES legislation requires any privately rented residential and commercial properties to have a minimum Energy Performance Certificate (EPC) rating of E or above. The 1st of April 2018 deadline applies to all new and renewed tenancies. After this date, it will be unlawful to rent out a property with an EPC F or G rating, with up to a £4000 fine in domestic cases and £150,000 fine in commercial cases for doing so. Existing tenancies must comply by 1st April 2020. There are some exemptions. For example, where improvement measures could damage the building or would not be cost effective within a seven year payback or if an expert states that measures will reduce the property value by 5% or more. These must be notified to the PRS Exemptions Register – and exemptions only last for five years. 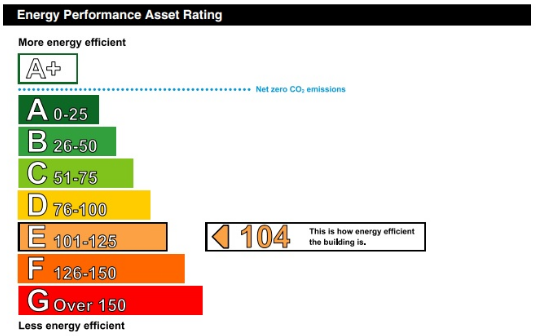 The improvements required to increase the EPC rating for a property will vary in cost, time taken and impact. With such a tight window to comply, Eight Associates is offering a free MEES Clinic to help landlords understand their options. To book a free initial consultation, please ring 020 7043 0418 or email info@eightassociates.co.uk.